BT is offering more free work placements to help young people in West Bromwich get ‘work ready’ and prepared for their future careers. The three-week course, combining hands-on work experience with coaching and training, is open to anyone aged 16 to 24 not currently in education, employment or training. Work placements are a great opportunity for people to build confidence and learn practical work skills such as CV writing and interview techniques. Although the course does not carry a formal qualification, attendees are given a certificate showing their attendance and achievements to demonstrate their commitment to prospective employers. The next local course is in West Bromwich starting on November 8 at BT’s offices at 1 Providence Place. For more details or to apply visit www.bt.com/workready. The first week of the course is mainly office-based and focuses on building and developing practical work skills. This is followed by a week ‘on the job’, shadowing employees and getting hands on experience of the working day. The final days of the work placement are spent doing mock interviews and a day assessment as well as developing an individual plan of the next steps to find employment or return to education. Colin Bannon, chair of BT’s West Midlands regional board, said: “BT work placements give local, young people the opportunity to experience the working day and gain invaluable insight of what is expected in the workplace. ** Movement to Work offers work placements to 16-24-year-olds who are not in education, employment or training. And particularly those from disadvantaged backgrounds who can struggle to identify and take advantage of employment opportunities. 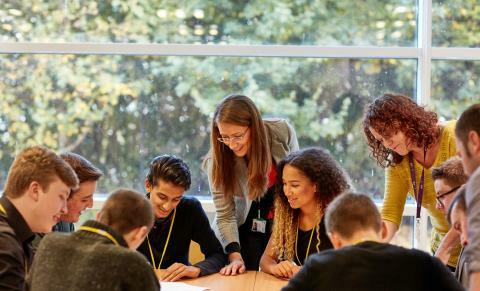 BT is a lead company for the charity, which is a collaboration of UK employers aiming to tackle youth unemployment by providing high-quality work experience placements. The three-week course, combining hands-on work experience with coaching and training, are open to anyone aged 16 to 24 not currently in education, employment or training.